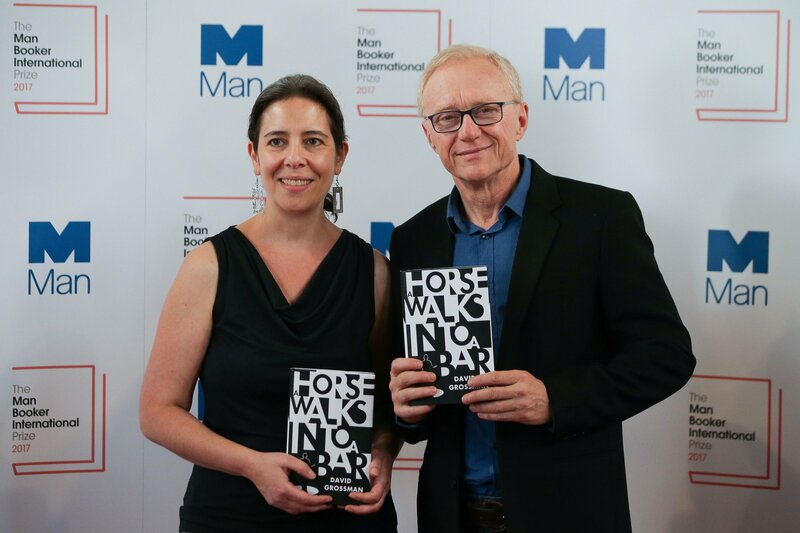 Last night at ceremony in London, Israeli author David Grossman was announced the winner of the 2017 Man Booker International Prize for his novel A Horse Walks Into a Bar (Jonathan Cape). The annual £50,000 (approximately $63,600) award is given for a book of fiction translated from any language into English and published in the U.K. during the award year. The prize will be split between the author and his translator, Jessica Cohen. The finalists, who each receive £1,000 (approximately $1,270), included French author Mathias Énard for Compass (Fitzcarraldo Editions); Norwegian author Roy Jacobsen for The Unseen (Maclehose); Danish author Dorthe Nors for Mirror, Shoulder, Signal (Pushkin Press); Israeli author Amos Oz for Judas (Chatto & Windus); and Argentinian author Samanta Schweblin for Fever Dream (Oneworld). Grossman , sixty-three, was born in and currently resides in Jerusalem. He is the best-selling author of more than a dozen books of fiction, nonfiction, and children’s books, which have been translated into thirty-six languages. He has received numerous awards and honors for his work, including the Frankfurt Peace Prize, Israel’s Emet Prize, and the French Chevalier de l’Ordre Arts et des Lettres. He is the first Israeli author to win the Man Booker International Prize. The Man Booker International Prize was created in 2005 to highlight “one writer’s overall contribution to fiction on the world stage.” Until 2015, the award was given biennially to a living author for a body of work published either originally in English or available widely in translation. Below, watch chair of the judges Nick Barley comment on this year’s winning novel, and visit the Man Booker website  for more information about the prize.